1998 Krug - nice and mature on the palate, and a little bit yeasty. Krug Rosé - nose of strawberries, and very ripe on the palate. More enjoyable than the last couple of times I've had this. 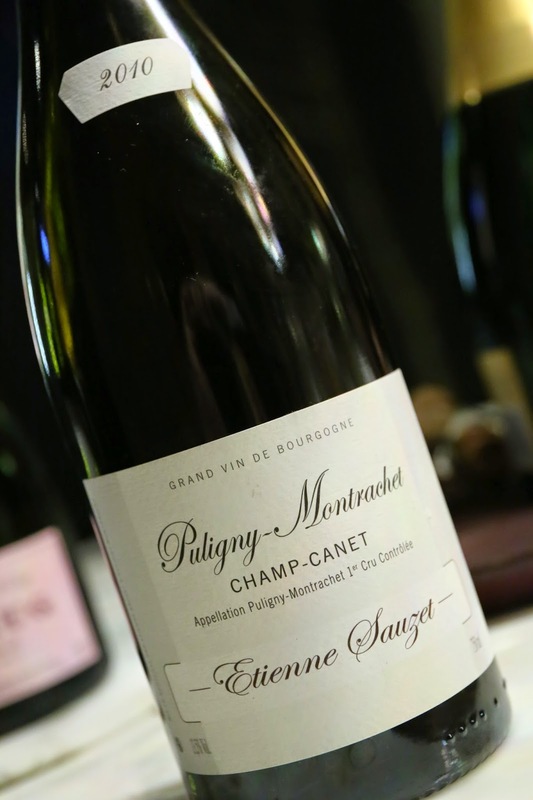 2010 Etienne Sauzet Puligny-Montrachet 1er Cru Champ-Canet - very big nose of toasty corn, with a pretty ripe palate and a little bit of acidity on the finish. Later on the nose opened up to reveal a little butter. Very nice. 2006 A.F. 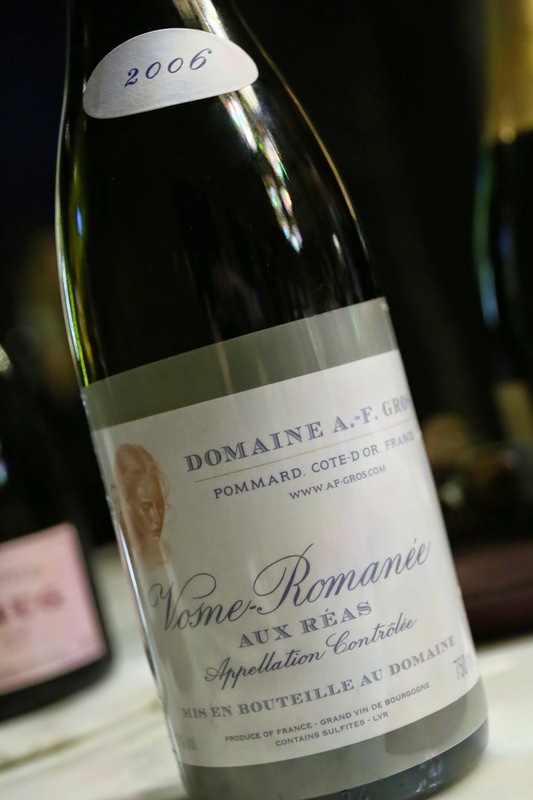 Gros Vosne-Romanée Aux Réas - a little forest, lovely nose of sweet fruit, a little smoky. Still some tannins here. 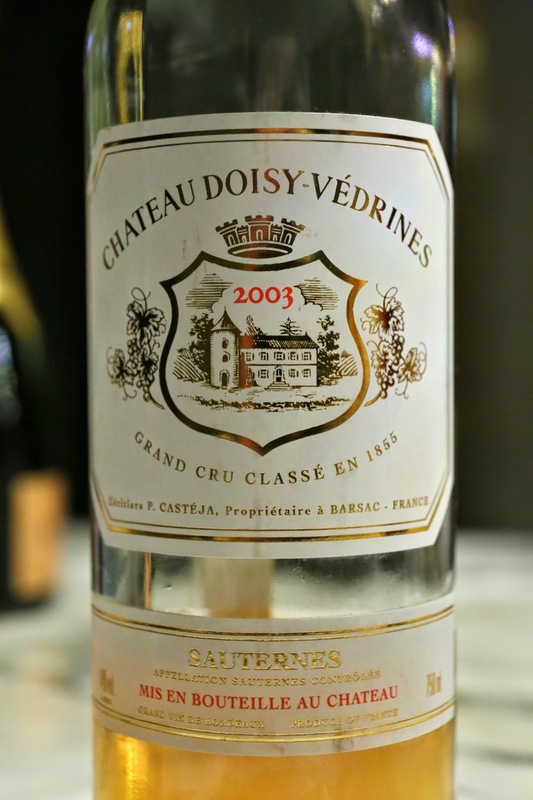 2003 Doisy-Védrines - nose of honey, marmalade, dates, a little nutty. Very rich. Finish was a little bitter.